The FBI says it may have discovered a way to break into the iPhone used by one of the San Bernardino mass shooters, and an important court hearing in the case that was scheduled for Tuesday has been postponed. "On Sunday, March 20, 2016, an outside party demonstrated to the FBI a possible method for unlocking Farook’s iPhone," lawyers for the government said in a court filing Monday afternoon, referring to the shooter Syed Farook. "Testing is required to determine whether it is a viable method that will not compromise data on Farook’s iPhone. If the method is viable, it should eliminate the need for the assistance from Apple set forth in the All Writs Act Order in this case," the government lawyers wrote. The court filing doesn't describe the proposed method, but the government says it has been receiving suggestions for how it could break into the phone from various outside parties. It’s a surprise twist in a high-profile case that pits Apple against the U.S. Department of Justice. The conflict has highlighted the tension that exists between the need for strong encryption and the requirements of law enforcement to investigate crimes. 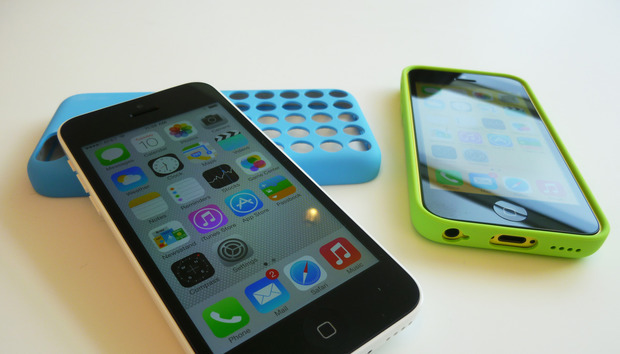 The FBI has said it needs Apple’s help to break its encryption so it can access Farook's device, an iPhone 5C. It says the phone may hold clues about whether Farook and his wife acted alone when they went on a killing spree in San Bernardino last December. The government has said the couple were suspected terrorist sympathizers. If the government has indeed found its own way in, it may get the data it needs without a court battle, meaning no precedent would be set, at least from this case. In February, Apple said it would fight a U.S. magistrate judge's order requiring it to assist the FBI. A hearing was set to take place in Los Angeles Tuesday afternoon, where lawyers for Apple and the government were to square off. That hearing has now been postponed indefinitely, though the case is ongoing until the government determines if its technique for accessing the phone will work. In its court filing Monday, the FBI says it has continued to look for a way to access the device even as it pressed for Apple's help. It doesn't describe the method it now plans to use. Some researchers have theorized that the device could be accessed through cloning. A key protection that the government is up against is a mechanism that permanently locks the phone if an incorrect pass code is tried 10 times. With cloning, multiple copies are made of the phone’s memory, and pass codes are tried against each copy. It doesn’t matter if one copy becomes locked, because investigators can move on to another. The method was brought up at a hearing of the House Judiciary Committee earlier this month, but no one has publicly demonstrated that it would work. It's unknown if that's the method the government now plans to use, and other techniques may have been suggested to it as well. Whatever the case, the government now says it will file a status report to the court by April 5, when it presumably will disclose the results of its efforts. In a briefing with reporters, lawyers for Apple said they have no idea what method the government proposes to use, or whether it will work. But if it has found a new vulnerability in iOS, Apple will want to finds out what it is. For now, the effect of the government's filing is to suspend the effect of the order requiring Apple to help the FBI. If the government is successful in accessing the phone's content, the case involving Farook's phone becomes moot. But Apple's lawyers said the company's position hasn't changed, and if the government finds that it still needs Apple's help to break circumvent the iPhone's security, Apple will continue to resist.